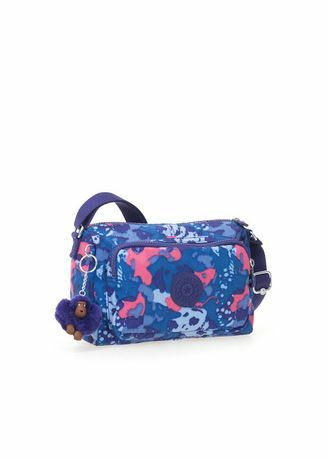 The Kipling Reth S Print shoulder bag has a colorful printed nylon exterior with a solid interior lining and just enough room to carry your essentials for a day out on the town. The main compartment has a top zipper closure with a zippered back wall pocket while a front zip around compartment offers organizational storage for small items. For added style and brand identification, a furry Kipling monkey key ring hangs from the side.